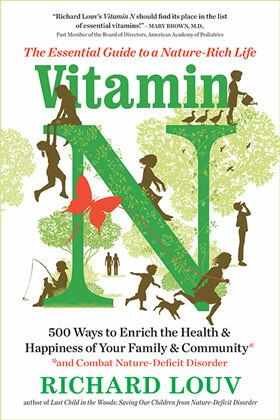 Vitamin N (for “nature”) is the comprehensive practical handbook that readers of Last Child in the Woods and The Nature Principle have been asking for. It addresses the whole family and the wider community with 500 smart, fun, and effective ways to engage with the natural world; scores of informational websites; and dozens of thought-provoking essays. You’ll find an abundance of down-to-earth advice as well as creative projects and activities for every stage of life, from suggestions for calming infants through nature, building a nature vocabulary with toddlers, and helping tweens become citizen scientists to finding nature-centered schools, medical professionals, and even careers; plus easy ways for the whole family to join nature clubs, volunteer to restore damaged habitats, and more. 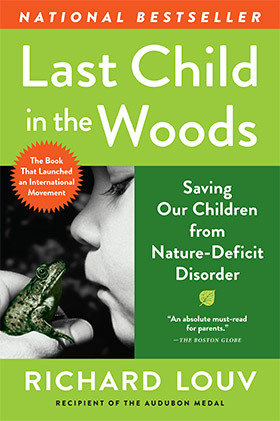 In his groundbreaking international bestseller Last Child in the Woods, Richard Louv spotlights the alienation of children from the natural world, coining the term nature-deficit disorder and outlining the benefits of a strong nature connection—from boosting mental acuity and creativity to reducing obesity and depression, from promoting health and wellness to simply having fun. 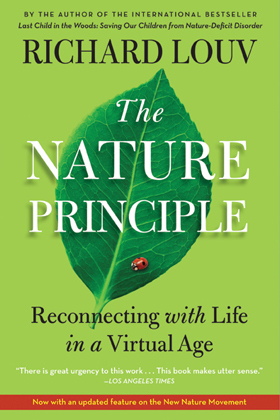 Supported by landmark research, anecdotal evidence, and compelling personal stories, The Nature Principle identifies seven basic concepts that can help us reshape our lives. By tapping into the restorative powers of nature, we can promote mental and physical health and wellness; build smarter and more sustainable businesses, communities, and economies; and ultimately strengthen human bonds. The blog features recent writings and selected articles by Richard Louv. Vitamin N, The Nature Principle, and Last Child in the Woods are available at special discounts when purchased in bulk (40%–60% discount on 10 or more copies—mix and match) for sales promotions as well as for fundraising or educational use.